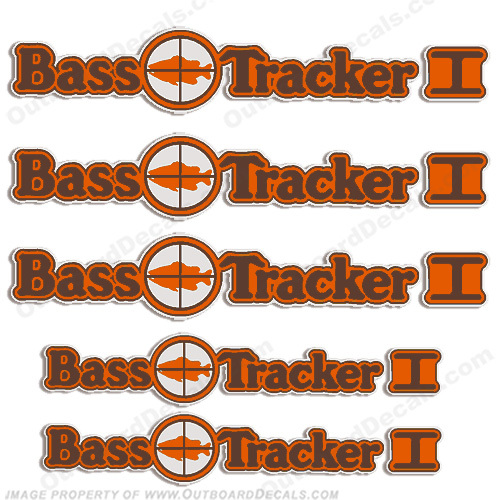 - (3) Bass Tracker I decals measuring approx. 3.75" high x 21.25" long. -(2) Smaller Bass Tracker I decals for the trailer.